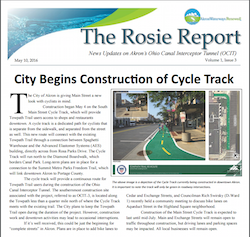 The latest edition of the City of Akron’s Rosie Report has great news for Northeast Ohioans. Read about the new bicycle route along Main Street. 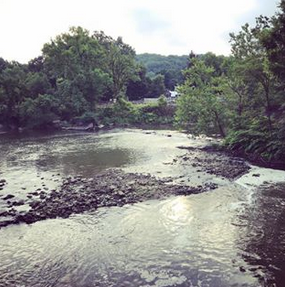 Let’s have a cheer for a Sustainable Akron. Other news brings a BLAST notice as the Ohio and Erie Canal tunnel worms its way beneath the City. Also, other construction news.